Forms long spikes of dark purple flowers. A very attractive and easy to grow plant. Leaves have a delicious, liquorice-like smell. 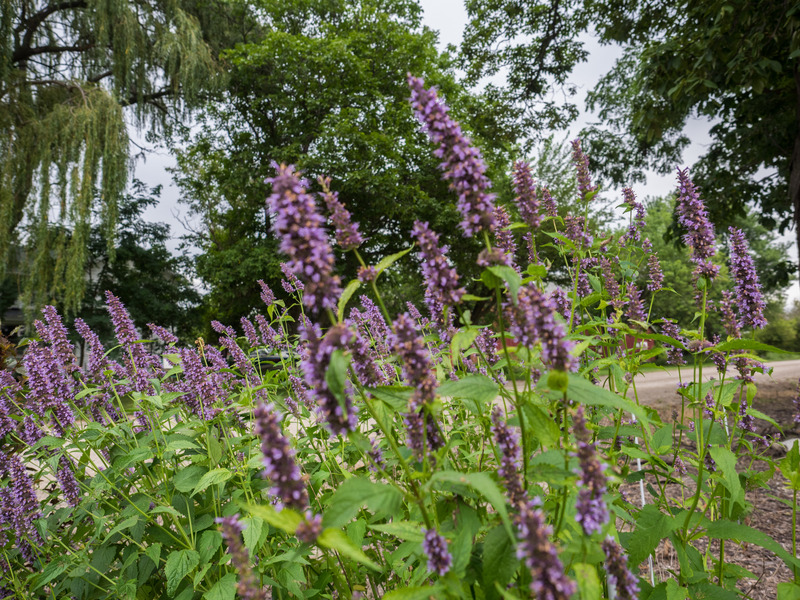 From mid-summer to frost, plants have spires of dark purple flowers. 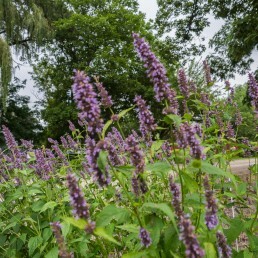 Anise or giant hyssops are among the most bee-attracting plants in North America. 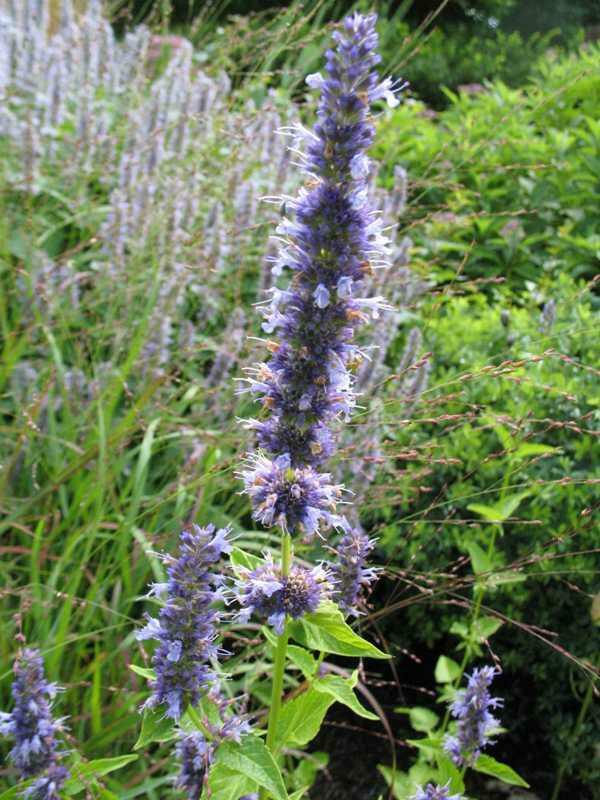 Black Adder is a cultivar hybridized from Agastache foeniculum (native to the Northeast US) and Agastache rugosum.